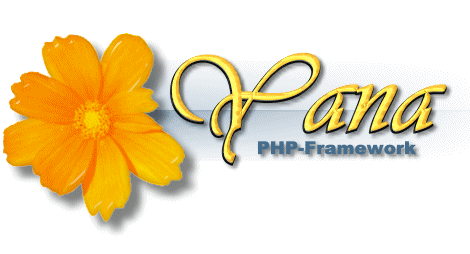 This Installation Wizard installs the Yana Framework on your Webserver. You will be taken step by step through the installation process. After finishing the process the installation files should be deleted for security reasons. Click the button "next" to proceed. To be able to use the product you must accept the following license agreements. Please scroll on to the end of the page. The "Yana Framework" is released under a GNU General Public License (GPL). This license requires to credit of the author, prohibits commercial use and requires all derivate work to be released to the public for free and under the same license and terms. Exceptions from these terms may be negotiated with the author. This license includes the documentation of the software. This software uses the "Smarty Template Engine". The "Smarty Template Engine" is released under a GNU Lesser General Public License (LGPL). This software uses the "PclZip library". The "PclZip library" is released under a GNU Lesser General Public License (LGPL). This software uses the "The DHTML Calendar". To begin the installation, you need to read the license agreement and accept to be bound to the restrictions defined therein. Click the button to start the installation. Check the box "more details" to get a detailed list. Please click OK to begin the check. Please enter a password and click on OK. The password should'nt be easy to guess. Birthdates, names and words from dictionaries are not well suited. It should be at least 8 characters long and should contain at least 1 capital letter, 1 number and 1 special char. Good passwords need not to be difficult to remember. Also you may imagine a sentence and take the first letter of the words as the password. E.g. : "my Granny drives 1 red Harley at 100 Miles / Hour to London" as password "mGd1rHa100M/HtL"
The installation is now complete. Thank you!